Since 2001, the Engineering First Year program has hosted an annual College of Engineering Welcome event that features our Dean of the College of Engineering and a keynote speaker. Quint Barefoot is a Greensboro, NC native and received a B.S. in chemical engineering from the College of Engineering at NC State University and completed his MBA at the Fuqua School of Business at Duke University. He joined Four Seasons Environmental, Inc. and proceeded to lead the company through a rapid growth phase from less that $1M in annual revenue to $42M employing over 280 personnel in six offices at the time the business was sold to Great Lakes Chemical Corporation. He continued to lead the firm as a division of a publicly traded company—ultimately expanding to generate annual revenues of $96M with over 500 employees by performing complex environmental remediation projects. 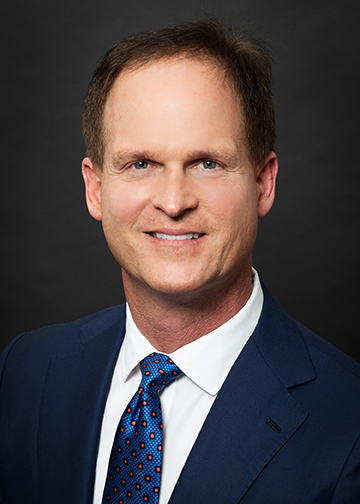 After leaving Four Seasons, Quint was one of the founders of Monosep, LLC; started in 2001 as a service firm providing water treatment systems to the energy sector based in Lafayette, Louisiana, now integrated into Siemens Water Technologies. Quint was a founder of Zappa-Stewart, LLC; a polymer converting business focusing on super absorbent polymer compounds used in telecommunication products, energy applications and medical devices. The business was acquired by a publicly traded company, Chase Corporation, in January 2018. Quint continues to work as a director, involved in business development and product application development. He’s a previous board member of the College of Engineering at NC State, serving on both the Marketing and Investment Committees. He was also a member of the Board of Directors at Greensboro Day School, participating on both the Development and Executive Committees. *Each profile dates back to the keynote speech year.